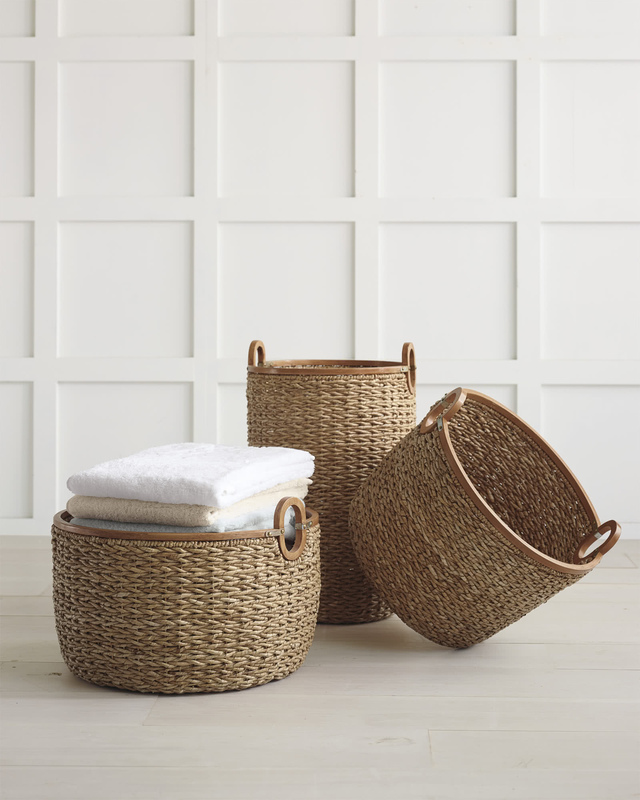 Seagrass BasketsSeagrass Baskets, alt="Seagrass Baskets, "
Print What we love most about this this basket are the refined details: a smooth wood rim and galvanized metal accents give it a polished, substantial look look we love. 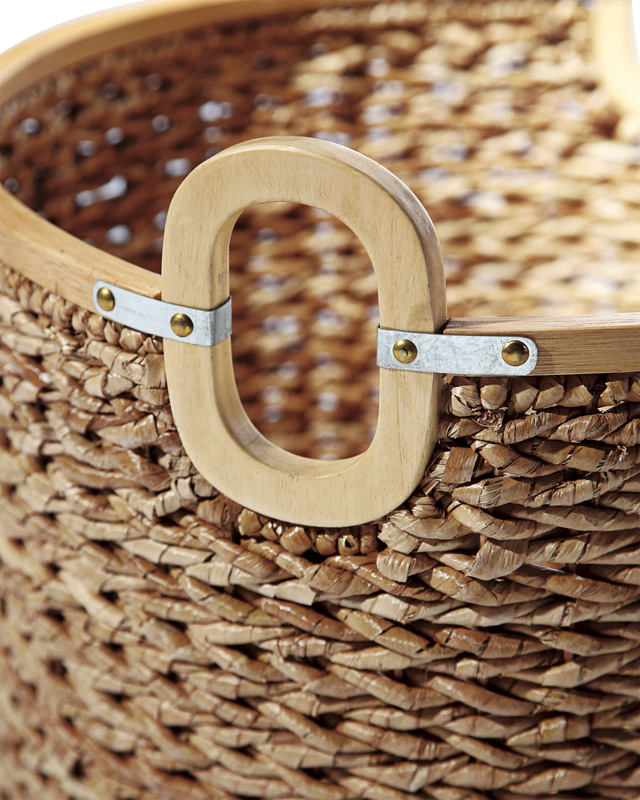 The open style makes this a natural catch-all for towels, toys and magazines. In other words, you can’t have too many on hand. 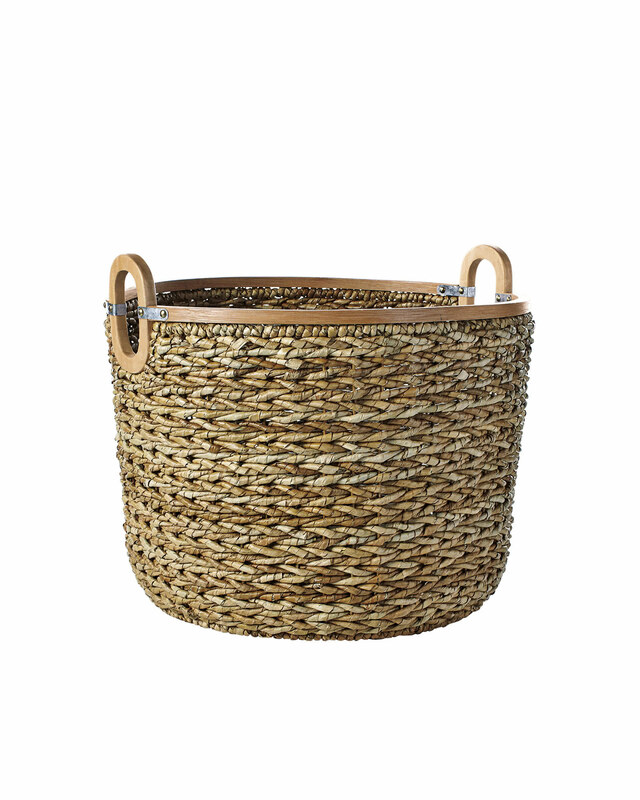 Handwoven of sustainable seagrass with wood trim.